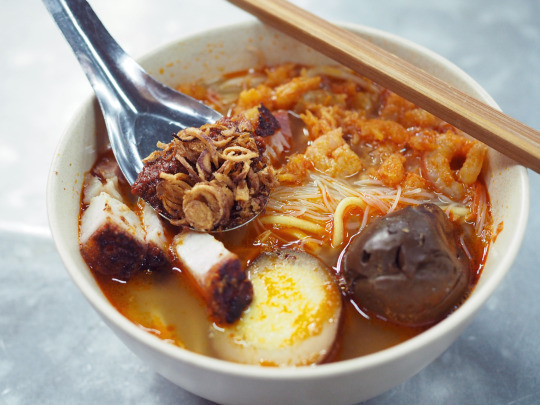 When answering these questions, I would never fail to speak of my favourite Malaysian dishes. 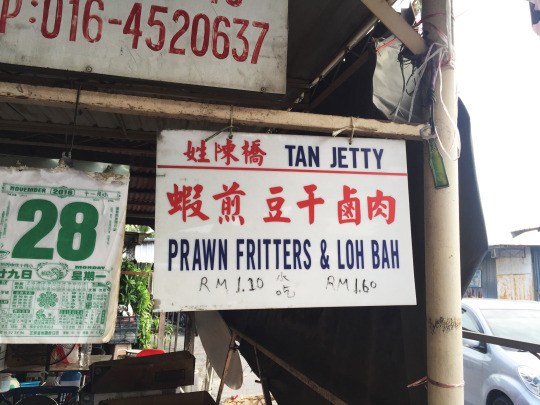 Being a multicultural nation, Malaysians take pride in their variety of local cuisine. From Malay to Chinese, Indian and not forgetting Sabahan and Sarawakian cuisines, our country is so rich in food that it would be impossible to not talk about how it plays a vital role in our identity. We may not be dubbed as one of the most liveable countries in the world, but if there is one thing that we do right, it would be our food. When I lived overseas, I was one of those people who would miss how cheap our food is. It irks me to see how our hawker food has entered the world of fancier tables and chairs, charging plates and bowls that hold recipes passed down for generation at prices not worth paying for; especially considering methods of cooking for convenience and speed, and authenticity of ingredients. Though it took a while to readjust to traffic jams and what not after half a year of completing my studies overseas, I have come to terms of how our country has so much more to offer. 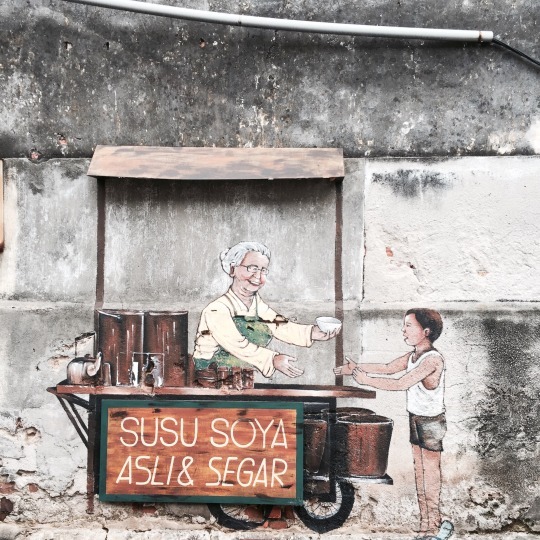 Working in the food scene of Kuala Lumpur for the past two years had inspired me to give my city a chance — a chance to show what it is like to be a Malaysian through our food and culture, a chance to explore different ways of life, a chance to fall in love with the city I grew up in all over again. Born to Penangite parents, and other than being a pure #BudakSubangJaya, Penang will always have a special place in my heart. This is one place I never fail to visit every single year, primarily for Chinese New Year. More often than not, going back once a year is never enough to satisfy all the hawker food cravings that come and go. There is something about eating by the roadside, watching life go by, and discovering hidden gems at unexpected corners of the island, that drives me to continue to explore. 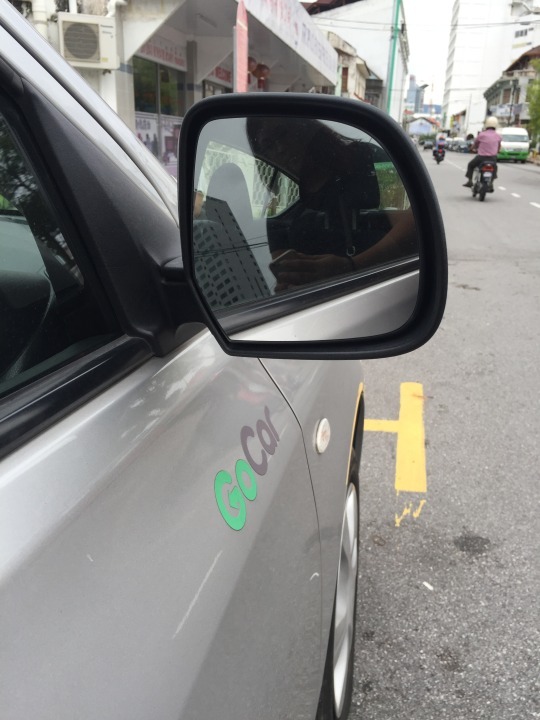 I have always wanted to go back to Penang not during the festive season, so when the opportunity to travel with GoCar came about, there was no saying “no”. I am no stranger to GoCar from a previous first experience where we took the car up to Genting Highlands for a festival. Very satisfied with their service, of course I would be a returning customer whenever I am in need of a car. GoCar is a car sharing platform, acquired by Mayflower Car Rental Sdn Bhd, a subsidiary of Warisan Tan Chong Holdings Berhad, early this year. It is designed to allow users to rent cars by the hour for RM14.90 per hour or by the day for RM99 per day​, self-service style using the GoCar smartphone application.​ The whole process upends traditional car rental, which involves negotiating with sales staff and paying in cash at the counter. Driving licenses, payments (credit or debit cards), booking, cancellation, and emergency requests are processed via their smartphone application. Anyone can join GoCar as a member — provided that drivers are 21 years old and above with a full valid driver’s licence. For international members, your driver’s license must have an English translation. GoCar’s recent partnership with Tan Chong allowed the company to have access to 160 cars for deployment this year to various locations in Malaysia. There are currently over 20 locations in the Klang Valley including KLIA, KLIA2, Mont Kiara, Cyberjaya, Petaling Jaya, Kelana Jaya, Balakong, KL City, Glenmarie, Cheras and Bangsar with 40+ cars on the road (as of 14 November 2016). Aside from Klang Valley, GoCar will be deploying 10 cars to Langkawi and approximately 50 cars to Johor by the end of the year. GoCar is actively working to getting more cars on the road due to its increasing demand, so expect to see more from them soon! In this digital era, everything is at your fingertips through smartphones. 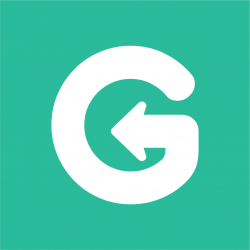 You can book GoCar easily through their free and user-friendly application, available on Android and iOS devices, where you can select the length of booking period, your car of choice, and which hub would you like to pick up and return your car. Do take note that the hub you collect your car from will be the exact same one where you will return the car to. GoCar is still in the middle of working through a hub-to-hub system in the near future. Once you’ve made your booking, you will be receiving a confirmation email with the details of your booking. You can then make your way to your hub of choice and start your reservation through the app. Pay attention to the details they require such as snapping shots of the car before driving it. For your own safety, do a quick and thorough inspection, and take note of even the smallest scratches. Report them to GoCar immediately or at your earliest convenience. 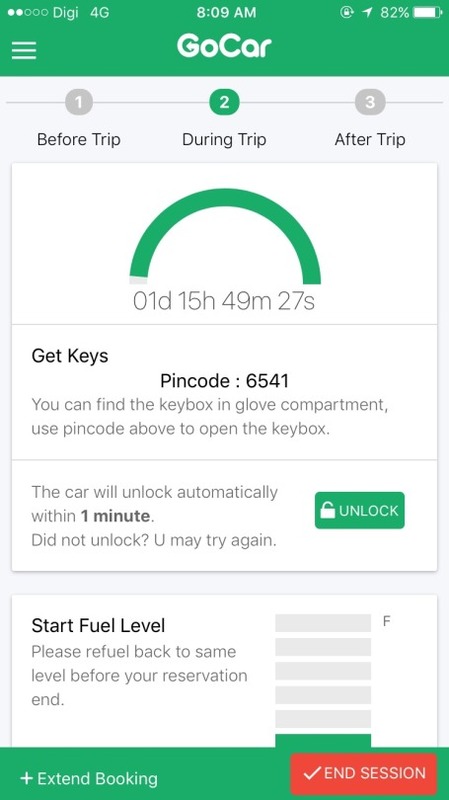 To unlock the car and get your keys, click on the “Unlock” button on the application and the car will unlock itself within 1 minute. In the glove compartment, you will find a safe box containing your car keys. Punch in the pincode given to you and voila! Another important thing to note is the “Start Fuel Level” because it is your responsibility as a user to return the car at the same fuel level before the end of your reservation. Once you are done, leave the application as it is. Do NOT click on “End Session” just yet and save that for the end of your trip. After inspecting the inside of the car, should you have no other issues, you can drive off. In the event where your car is dirty, contact GoCar’s customer service, explain the situation to them, and they are likely to suggest that you bring the car for cleaning where you can claim the cost with proof of receipt. 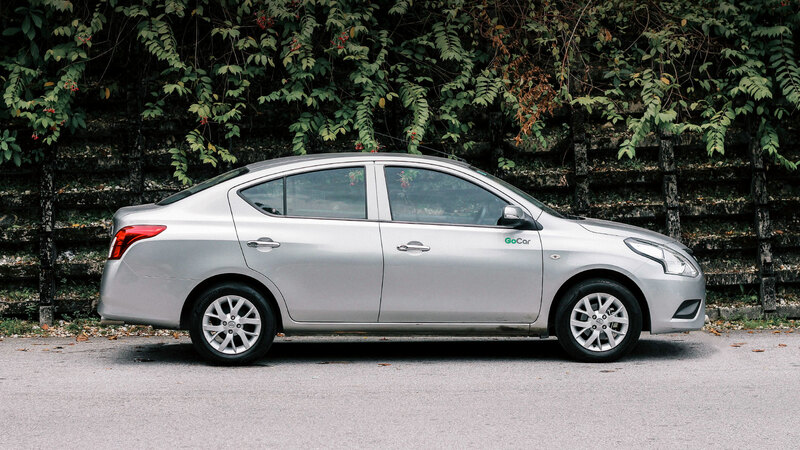 Nissan Almera is an entry-level car for GoCar. I personally think that it is pretty good for a basic car. I am no expert with cars but I can tell you for sure that this is a comfortable ride with a very spacious boot that can fit plenty of belongings. This car can go up the steep roads of Genting Highlands with four people and a boot full of bags, just to give you an idea of how powerful it is! So all you campers, heavy travelers, and people with lots of equipment to carry around, look no further. 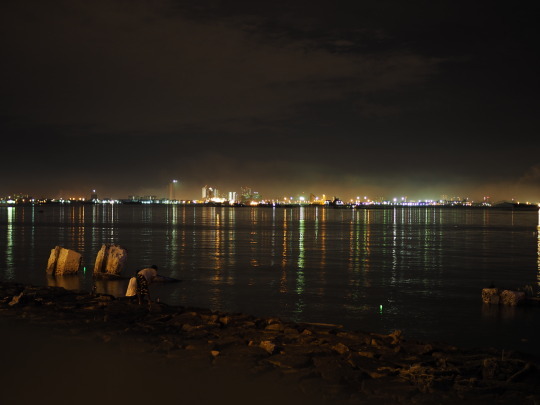 View from Karpal Singh Drive. Departing from the Renault Building in Seksyen 13, PJ, we made our way to the NKVE highway. All you have to do is follow the Sungai Buloh way and it will take you to the North-South highway where you simply need to drive straight right until you see Georgetown. Should you need to take a break, stop by the rest stop at Bukit Gantang where you can freshen up, take a short walk and fuel up on fruits. I was craving corn in a cup, which I bought from a random store at the corner. It was one of the best corn in the cups I have ever had. The secret ingredient? Condensed milk. Who knew?! We started our journey at approximately 8.30am and reached Penang by lunch time. Be prepared to pay a bomb for the toll (RM49) so if you have insufficient balance in your Touch n’ Go card, take a ticket instead or top up way beforehand because there may be a long queue at the customer service office. The car ride can be exhausting even though driving on a straight road. I would advise you to stop halfway or to not drive for more than two hours straight (if you actually studied for the Undang test, you would remember that you are highly encouraged to take a break after two hours of driving). Pro tip: Get an AUX cable if you need music in the car. We got ours for about RM7.50 at Mr. DIY. The Nissan Almera does not have Bluetooth nor does GoCar provide any cables. Be prepared to pay for another toll as you approach the Penang bridge, where you should get your cameras ready for the ocean view. The first thing we thought about was to get food, obviously. We reached after lunch time so we had to, unfortunately, give the famous Sisters Curry Mee and kuey chap a miss as they would already have been sold out and closed. One thing we learnt about Penang was how quiet it can be on Mondays and Tuesdays. Most shops are closed and conveniently, it was also the start of the school holidays so there are people going on their long breaks already. We resorted to Shell Station Asam Laksa at Farlim, which I knew would be open. I have been having their Asam Laksa almost every year I am in Penang. Though their standards have been a little inconsistent, their soup has always been flavourful and never fails to satisfy. Tip: order the popiah too because with all that leftover soup, the popiah works as a very tasty sponge. Eat the popiah and soup together, thank me later! On another note, this particular shop has a really amazing pan mee soup stall. Pan Mee in Penang, what even?! Never would I have thought that Pan Mee would be available in Penang, what more topping off the standards of some popular places in the Klang Valley. Their soup was flavourful, noodles are stretchy and can be deemed as “al dente” as the Italians would put it, there was enough ikan bilis for added texture and they have both meatballs and fishballs in the bowl. RM5.50. For real? Yes. Next thing you can order at this same shop is the bak kua and chicken floss buns right next to the Asam Laksa stall. Simple yet delicious buns can never go wrong. The uncle claims that this is the best in Penang, I don’t disagree at all. These are perfect road trip bites that may just be your next replacement for coffee on your next long drive. By the time we were done with lunch, it was already time for checking in (thank goodness) so we made our way to town where our hotel was. 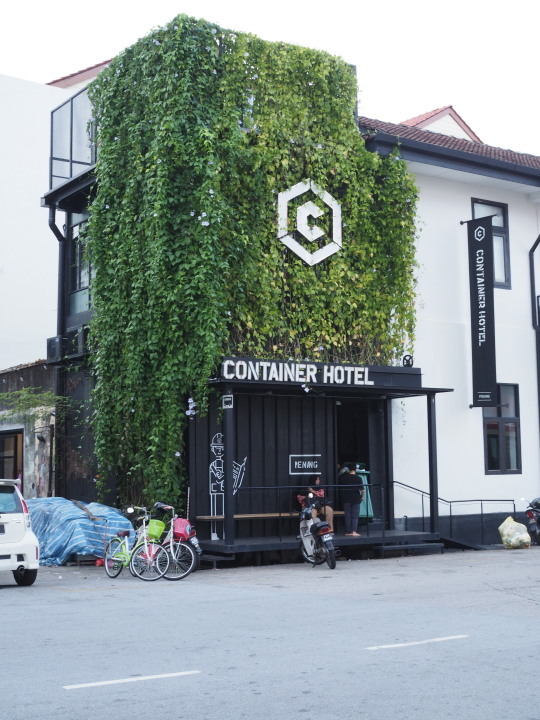 Founded by Ryan Loo, the brother of Chatime’s Bryan Loo, and his friend Vincent Tan, Container Hotel has three branches in Malaysia located at Ipoh, Kuala Lumpur and here in Penang, just a walking distance from the famous Chew Jetty. Taking inspiration from sustainable architecture, there is no missing the Container Hotel along Gat Lebuh Chulia, a fresh-looking building with a touch of greenery on its signboard. We found the place absolutely clean and well taken care of. This hotel was a recommendation from a friend who was a guest a few months back. We booked two beds in the dormitory for RM27 each per night (before taxes and service charges) through Agoda. Free cancellations are allowed up to a certain date. Inclusive of WiFi, a tote bag, towel, a bottle of water (which can be refilled), toothbrush and toothpaste, the price per night was already so worth it. The female sharing toilet was clean, shampoo with conditioner, shower gel, and hair dryers are provided, the sleeping area was comfortable and clean as well, there’s even a mirror within your little space and a desk if you are doing work. RM27 is way too affordable. The only thing we could not control was the type of guests we would be staying with. Unfortunately, an inconsiderate guest had his or her alarm go off for ten minutes straight at six in the morning, to the displeasure of many. If you are the type who prefers a little more privacy, even the private rooms are not very expensive for the quality of the hotel. Look through Agoda and you can get a deluxe room for RM124 per night for two people with an attached bathroom. The living room was absolutely gorgeous. 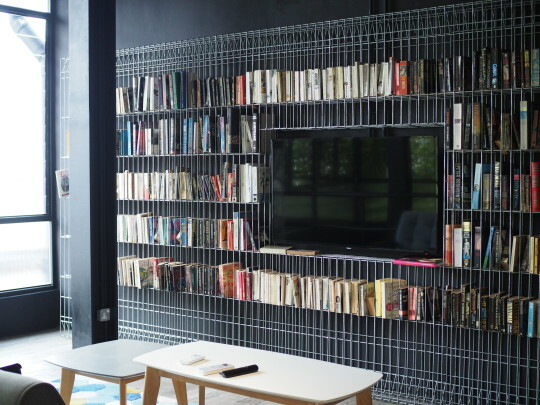 The bookshelves reminded me of L45 in Bangsar. With plenty of natural lighting from the windows, you can do your vlogs here and even take all the photos you want. Even their selection of books are super classic or are real gems that are no longer in publication. Amanda and I spent ages in the living room where we also ate our fried snacks we purchased from the roadside stall. 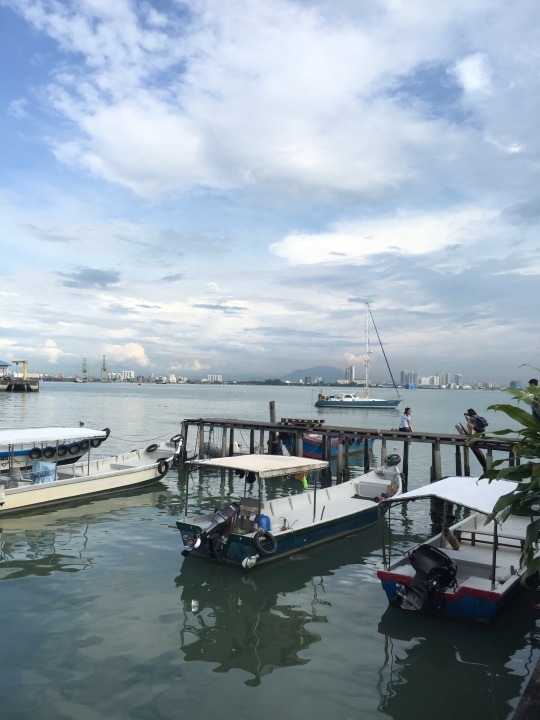 Tips on parking your GoCar in Penang: Container Hotel does not provide private parking spaces so you would definitely need to look around for any available public lot. Penang uses the coupon system for parking fees. You can get the orange or green coupon booklet (RM4 or RM8 size) from a nearby pharmacy along the same road, shade the tickets accordingly, and place them on the dashboard. 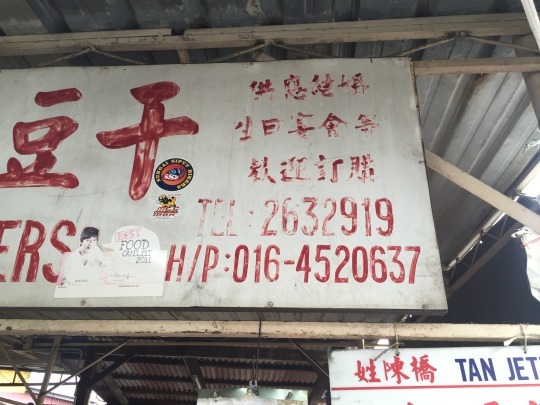 Summons are given out every efficiently in Penang, so do not risk it! So what is there to do in Penang? EAT, of course. There is honestly no better way to discover this island than through its glorious food. I mean, what are calories, am I right? Seeing that the waterfront clans were nearby the hotel, and not being able to travel any further by car after such a long drive, we made our way to the Chew and Tan Jetties on foot. Chew Jetty is said to be a UNESCO heritage site where the Chew clan is the biggest waterfront families in the area. From the last time I visited, there has been an increment stalls selling souvenirs of all sorts. Even ice cream stalls, henna tattoo services and a ramen shop have popped out of nowhere. Seems that there are plenty of tourists visiting, hence the more businesses. Chew Jetty used to be the home of the boat mural, if you are into mural painting hunting in Penang, an activity that you should definitely do on bicycle to discover the town area. Over the years, it has unfortunately disappeared probably due to the quality of paint being washed away easily from the rain and change of weather. This jetty is great for those who would like to take OOTDs by the sea, especially on a sunny day. If you are interested in architecture, there are a couple of houses along this jetty with uniquely designed doors and walls although some residents do not allow photographs to be taken in front of their respective homes. Souvenirs are especially cheap in this area although they are repetitive as you explore more stalls. Tan Jetty is located a few hundred metres from Chew Jetty. This is where I would normally get my loh bak (five spice meat roll) and cucur udang (prawn fritters) from. Made and fried fresh every day in thankfully-not-black oil, my parents never fail to order loh bak from this stall every time we were in Penang. By the way, ordering their frozen loh bak and bringing them back to Kuala Lumpur is not unheard of, just saying! They will be closed during Chinese New Year but open on the eve for half a day. Here’s the number below for you to place your pre-orders so that they will be ready for you to collect before they close for the holiday. On the way back to the hotel to freshen up, we passed by a stall selling all the fried goodness. Fried sweet potato slices, yam slices, nian gao, and even fried bread with corn and condensed milk filling from 70 cents to RM1.50 at most. Absolutely s-i-n-f-u-l. 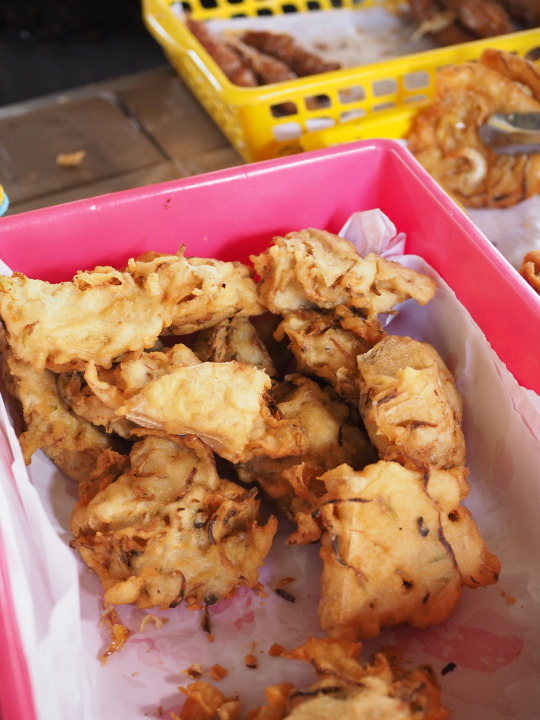 Yes, loh bak and prawn fritters in our bellies, fried snacks in our hands! 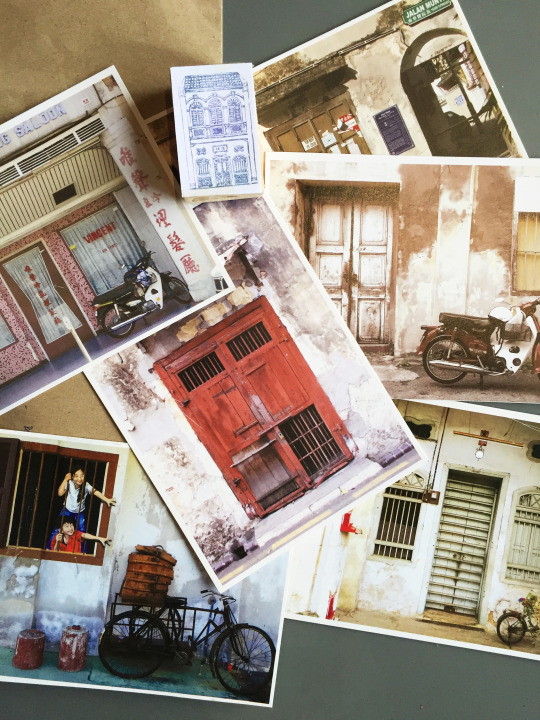 Nearby the hotel is a postcard shop for those postcard collectors and enthusiasts who are looking for heritage illustrations of Penang. I love the selection of postcards here, including the very heritage and rustic ambience of the shop with its unfinished look. Photography is not allowed within the shop but you can take photos of the outside. 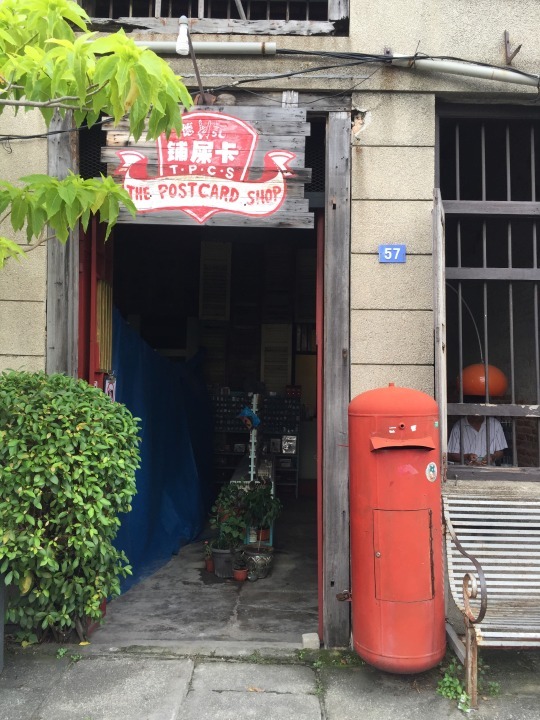 This shop also sells rubber stamps of many designs including old buildings and Chinese zodiac signs. So, stationery addicts, you may want to have someone control your spendings here. 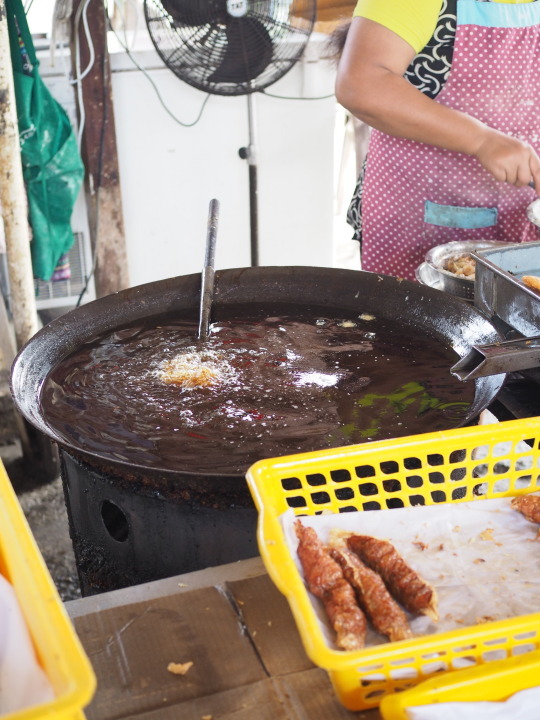 There’s no leaving Penang without having a go at one of their most popular hawker food areas. 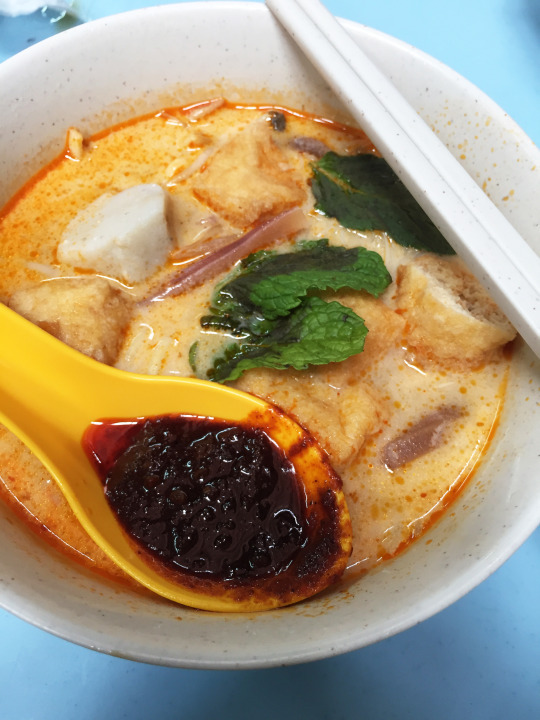 Located right opposite Mugshot cafe, Chulia Street’s hawker food is a heaven for foodies. This is where the famous Wantan Mee stall is located. In fact, when we arrived at the stall, we were greeted by a queue of at least seven people in line who were prepared to order (the number excludes people who are waiting for their food or takeaways). It took a few minutes before the Auntie took our orders and even fewer minutes for our plates of wantan mee arrived fresh at the table. This has got to be one of my favourite places to get Wantan Mee simply because of the stringy noodles paired with the sauce that coats it. Starting from RM3.80 for a small plate, there is no going wrong with a stall like this that sells dry Wantan Mee, sui kau and nothing else. Definitely a living proof of the “do one thing and do it good” business strategy! Should your tummies be rumbling, calm the storm in your bellies with a little peanut snack called Muah Chee, located within the hawker food area, for RM3 a serving. Note: Do not mistaken this stall for the Wantan Mee shop at the corner. Still hungry? Penang is not a dead town at night. My family’s go-to supper place is the Greenhouse Hokkien Mee along Jalan Burma, one of the busiest hawker food centres when it comes to late night feasts. 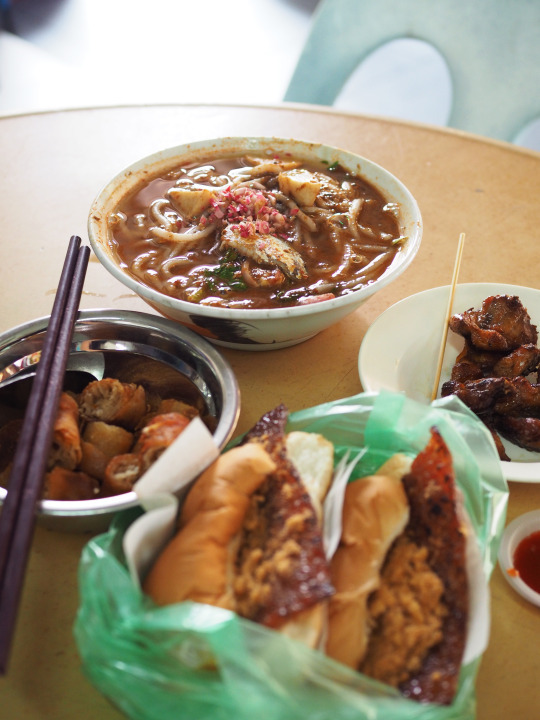 Although the Bak Kut Teh, dim sum, and steamed chicken from the chicken rice stall are some of the decent options, do not skip having a bowl of Hokkien Mee here. Order a basic bowl and you’re good to go. Only unless you are feeling ravenous, you can definitely skip the add-ons like siew yuk, shrimps and an extra egg. One bowl is really all you need for a good night’s sleep. Add-ons are also costly. The bowl pictured below has siew yuk, an extra egg, and prawns—totalling up to RM10.50 although arguably worth it if sharing with two people. Having driven for half a day, explored the town area, and with all the endless eating, we called it an early night as we dozed off in our little container rooms. 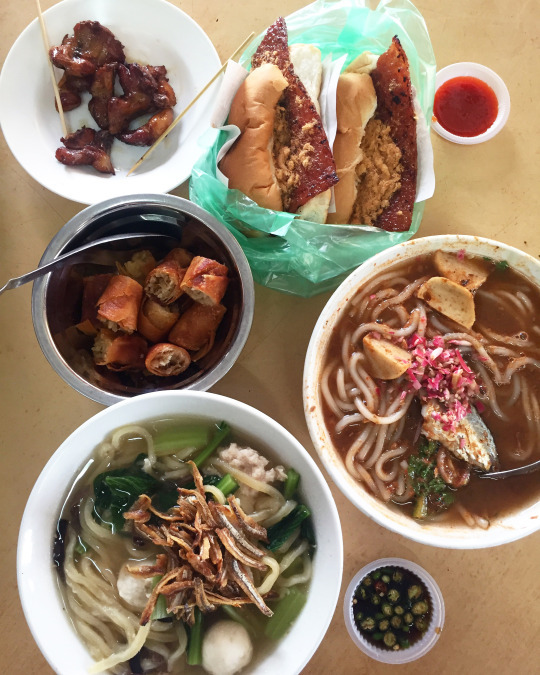 Kicking off the day with hawker food is always the way to go in Penang. Chowrasta Market is one of my favourite places to visit. It is imperative that everyone tries the fried beehoon mee opposite Kopitiam Bazaar, a personal favourite that has never changed after all these years. You can choose from a small packet for RM1.50 or the large one for RM2.50 (recommended). 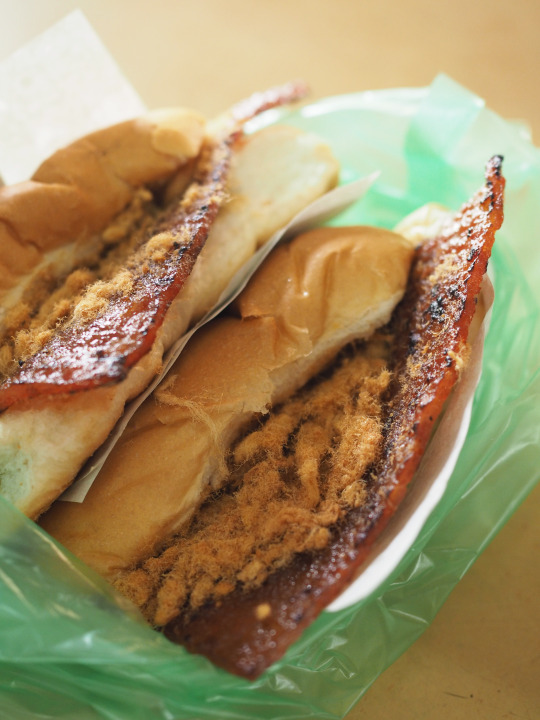 Top it up with loh bak slices if available and do not skip the crispy beancurd skin. Walk into the kopitiam and you will find way more options to fill your bellies up. We arrived a little too late so they ran out of toast bread 😦 But that’s perfectly fine because the wicked bowl of curry mee made up for it! It may not look like much but do not underestimated how surprisingly amazing it tasted. Still missing all the fried goodness? As you walk out of the kopitiam, there will be a stall selling nian gao, fried sweet potatoes and fried banana fritters as well. Take your time to walk around the market. You can actually discover lots of fresh ingredients at very affordable prices. Coming across peculiar items like pipe cleaners, essential oils made out of rare ingredients, and stalls selling batteries and stationery, are not unheard of. With a Nissan Almera from GoCar, there was plenty of boot space for groceries to bring back fresh anyway so there was no worrying about carrying too many things around. The morning went by quickly and we checked out from The Container Hotel at 12pm. Don’t forget to collect your RM50 refundable deposit for the key card. In the event that you do forget, contact the hotel and they will find a way to refund you. Apparently bank transfers are possible. How efficient! Lavish Fusion Bakery was just around the corner from the hotel and from the looks of its entrance, we HAD to check it out. 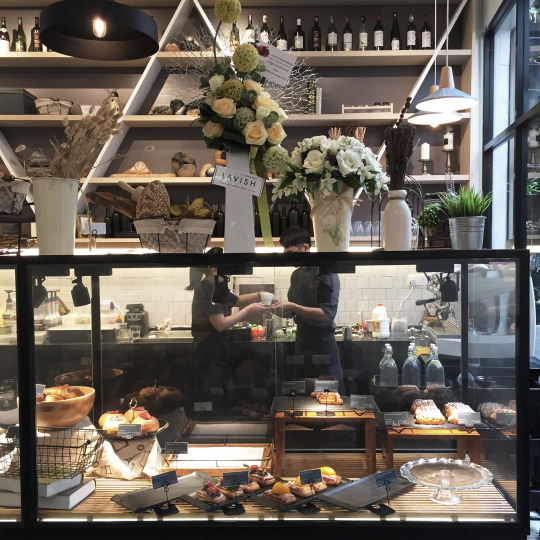 Launched just three weeks before we arrived, the place was an absolutely gorgeous bakery and cafe where the florist next door and plant wall gives the entire place nature’s touch, making the dining experience so much more pleasant. 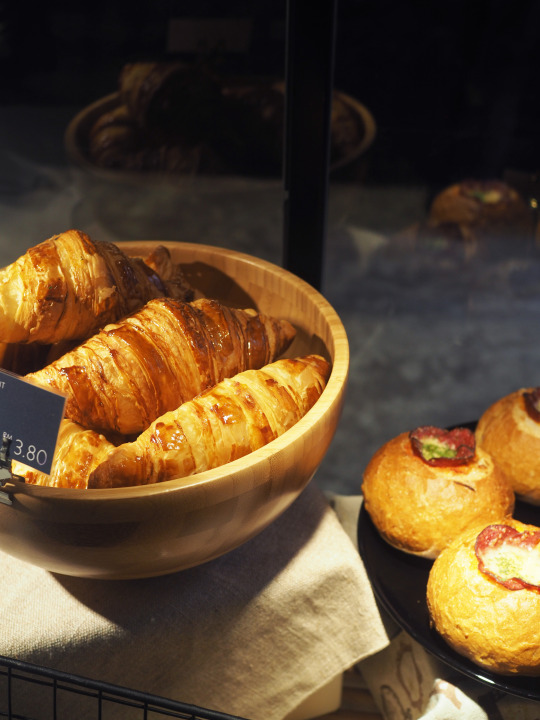 Pastries are their forte so do not skip anything on the display especially if they have the word “croissant” in it. 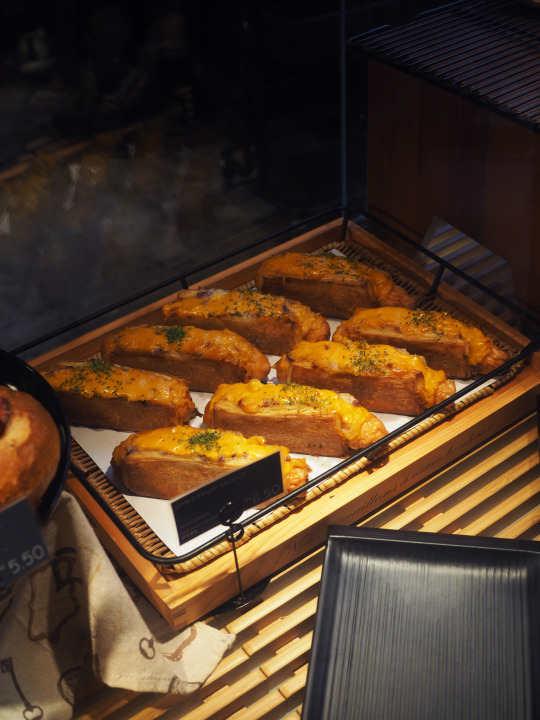 Have a go at the jumbo sausage pastry as well (RM5.50) for a cheesy and oh-so-tasty treat. We’re not so sure if they will be open this Chinese New Year but I would personally love to visit this beautiful place again. Highly recommend all travelers to drop by even though they do not serve local cuisine. 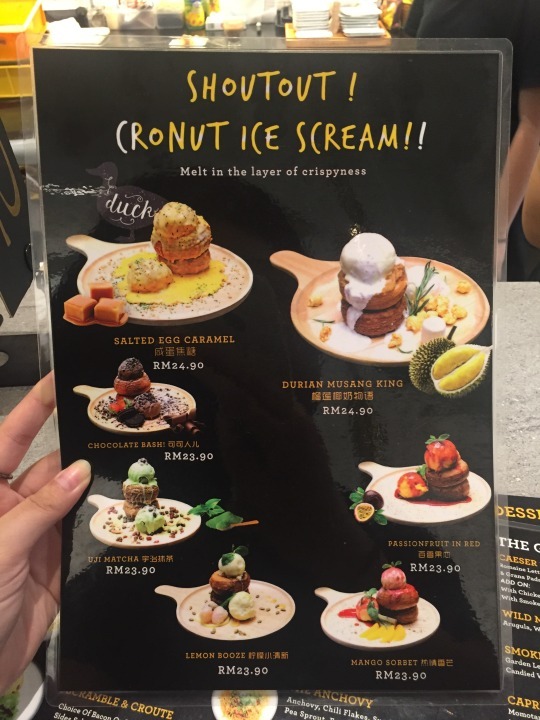 Something else to try: Cronut ice cream with salted egg or durian flavour. 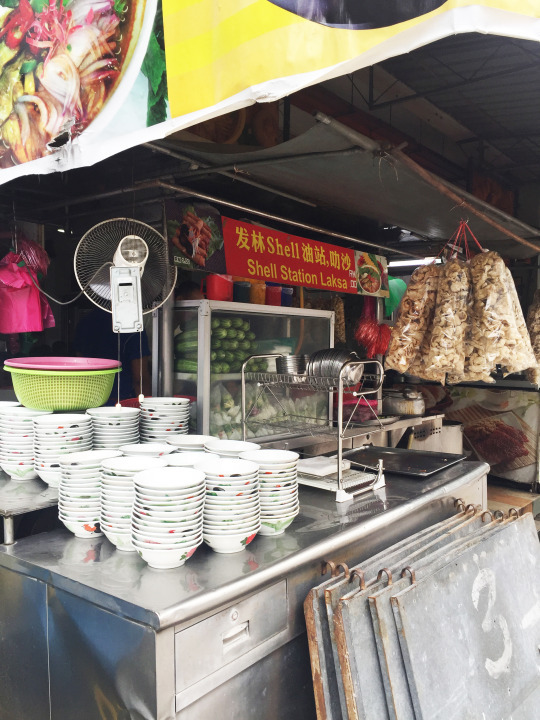 Before officially leaving Penang Island, we dropped by the rojak lok lok stall in Farlim for something refreshing. 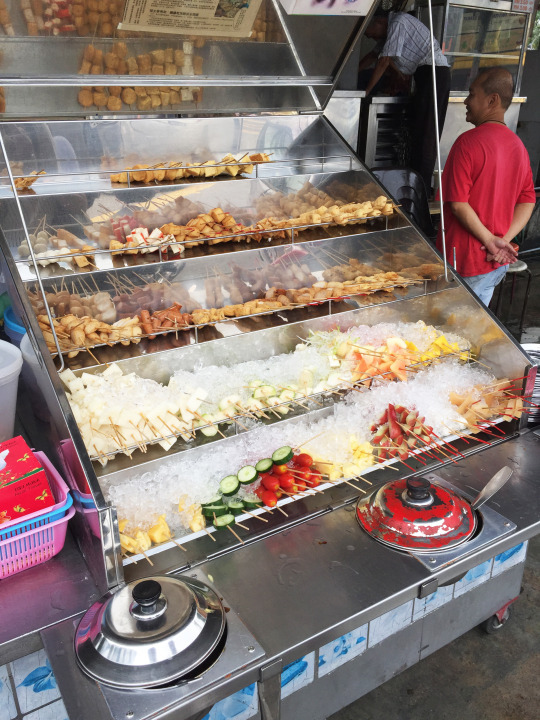 This stall is basically serves deconstructed rojak on sticks — perfect for people who love to eat rojak but are picky about certain ingredients. An average human being can easily consume 10-15 sticks of fruits or sides at a go. The rojak sauces (spicy and non-spicy) are both somehow very addictive. Don’t miss out on: Fried wantan skins and fresh fruits. 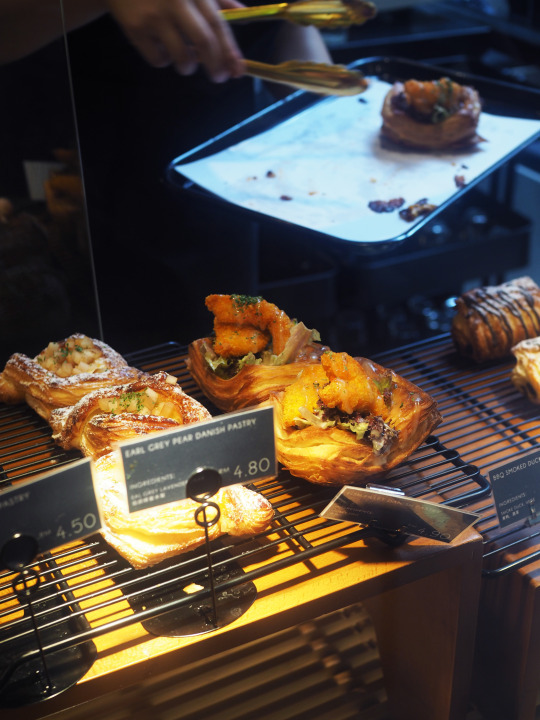 We made our way back to KL immediately after visiting Lavish Fusion Bakery. Our Ipoh pitstop was a relatively short one because we wanted to make it back home before the peak hour. 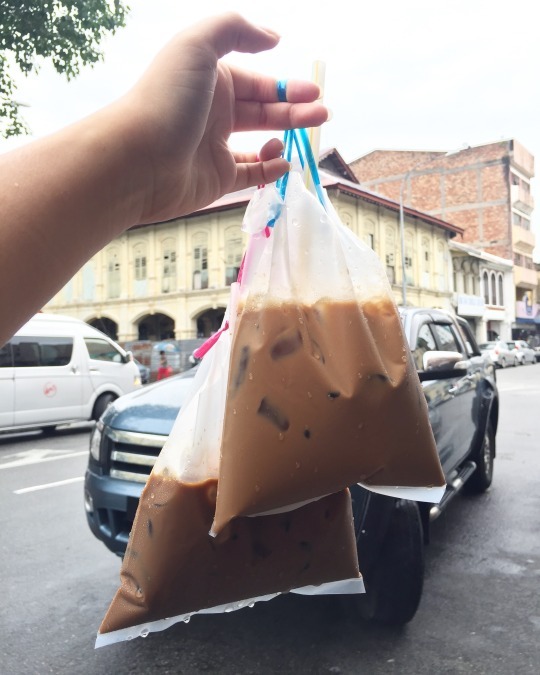 Coffee breaks are always a good idea, so we had takeaways from Nam Heong and Sin Yoon Loong kopitiams (coffee shops) which were both contrasting in terms of price, portion and flavour. Once you reach the hub where you picked up your GoCar from initially, immediately note down the number of bars left on the fuel tank and pack up your belongings. You are required to take the two necessary shots of the car before ending the session. Pro tip: Book your Grab car before ending the session and wait in the car for it to arrive. As soon as it is a few minutes away, proceed to following the rest of the instructions on the application. Be sure to check every nook and cranny for any of your belongings before placing the car keys into the same safe you took it out from at the start of your trip. 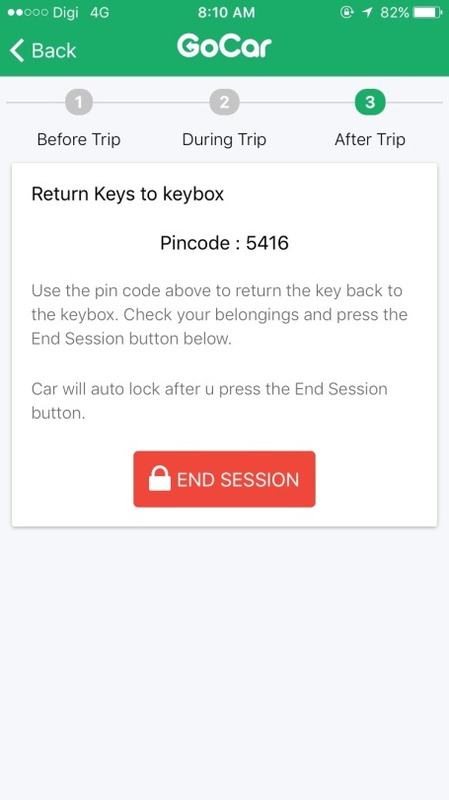 A new pincode will be given to you as you end the session. After you’re done, the car will lock itself within a minute after you fully complete the session. If I could summarise my GoCar experience in one word, that word would be “convenience” which is pretty much what GoCar is from the point of view of a returning user. Thank you for the opportunity, GoCar. We look forward to using your services once again! 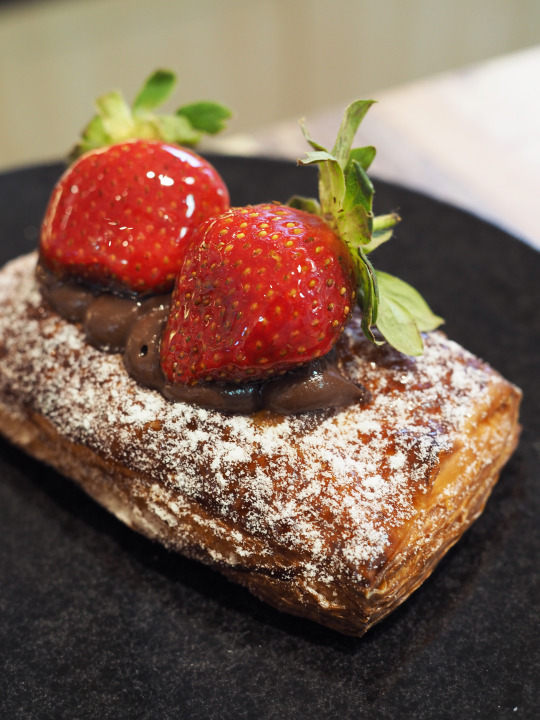 Emily is a passionate foodie, born and bred in Subang Jaya. She initiated a food application in Kuala Lumpur after graduating from an Australian university in 2015. Other than currently working in Public Relations, Emily is also an avid traveller. With Laos, East Timor and Brunei left on the list, her aim is to set foot in all Southeast Asian countries within the next few years.